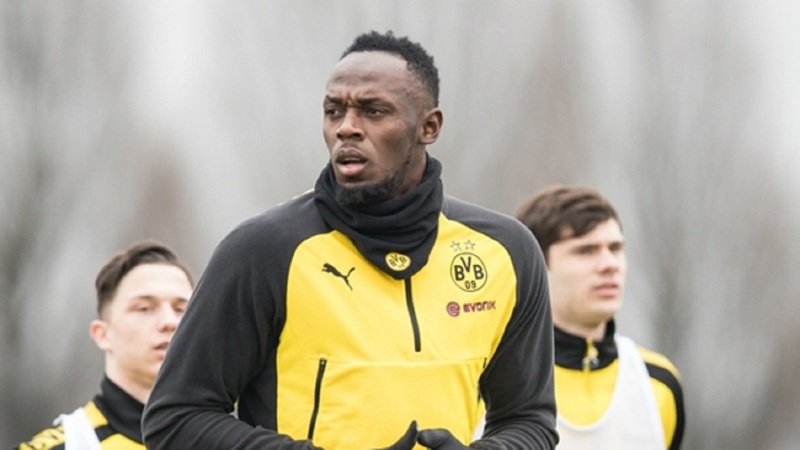 Usain Bolt training at Borussia Dortmund. 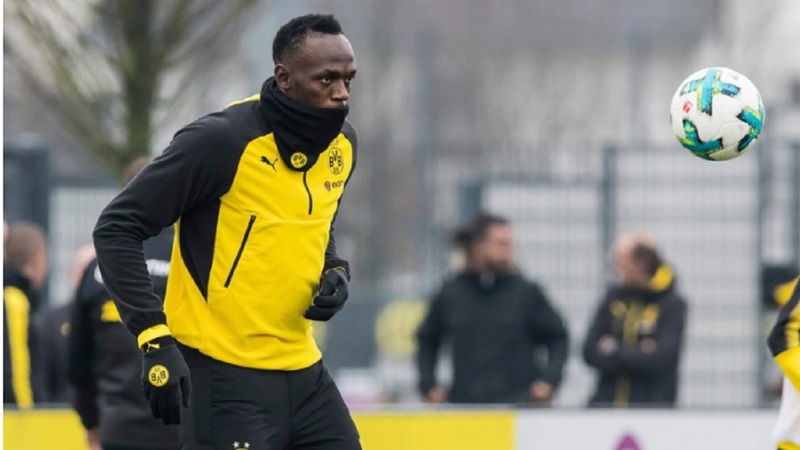 Borussia Dortmund striker, Michy Batshuayi, is hoping that former Jamaican sprinter, and 100-metre world record holder, Usain Bolt, will not take his place in the club’s attack line. 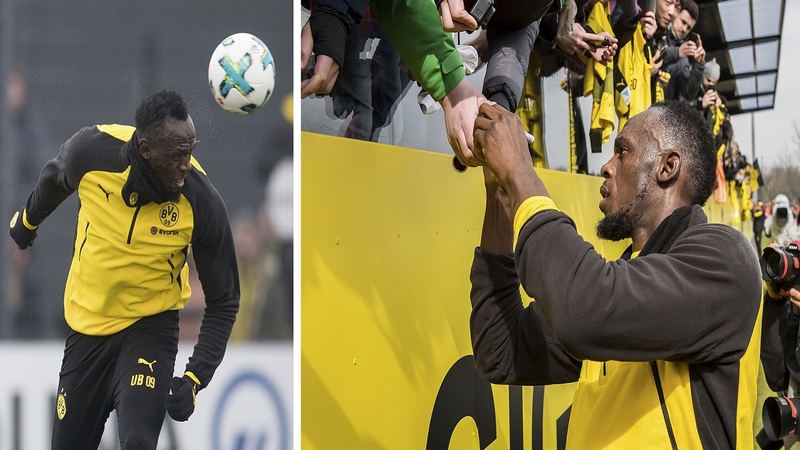 The recently retired sprinter showed plenty of know-how after putting away a header at a training session with the German club last week and even managed to nutmeg a BVB youngster, much to the delight of the crowd. “I watched the videos. He did nutmegs and scored a good goal. He’s a champion. He pushes himself beyond his limits every day,” Batshuayi told Belgian media, dhnet.be. “He wants to beat all the records. He’s trying to establish himself in another sport, that’s classy, I’m happy for him. Based on the start that the Belgian international has made to German football that seems highly unlikely. Since joining from Chelsea in January, the striker has scored six goals in seven Bundesliga appearances. He would still, however, love the opportunity to train with the world’s fastest man. 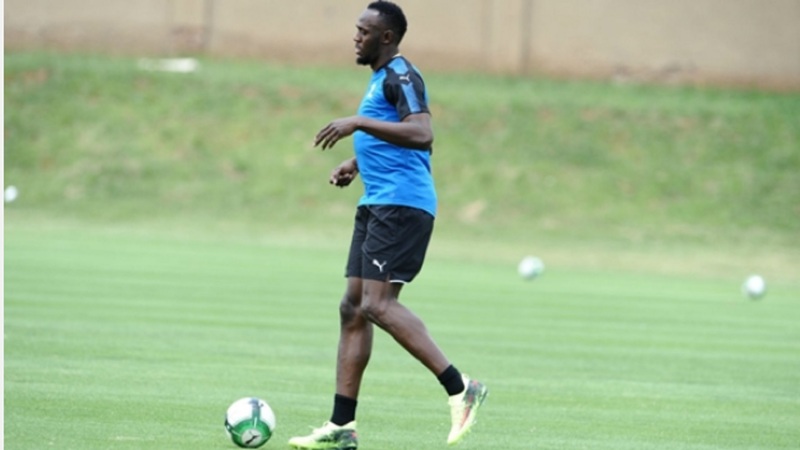 Bolt has expressed a desire to try his hand at professional football after hanging up his spikes following last summer’s World Championships.